Open an image file by either double-clicking on the image file or by using the Open option from either the File menu or the toolbar. 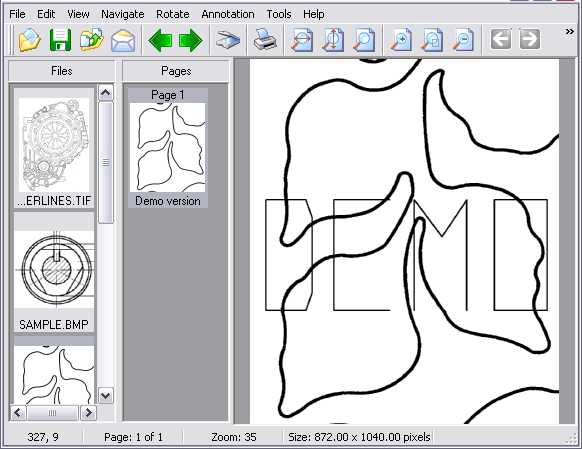 The selected image will be opened and displayed in a new window of the Able Fax Tif View software. You can then use the options from the toolbar to mark up the image as desired. Allowing you to navigate to the desired image file. 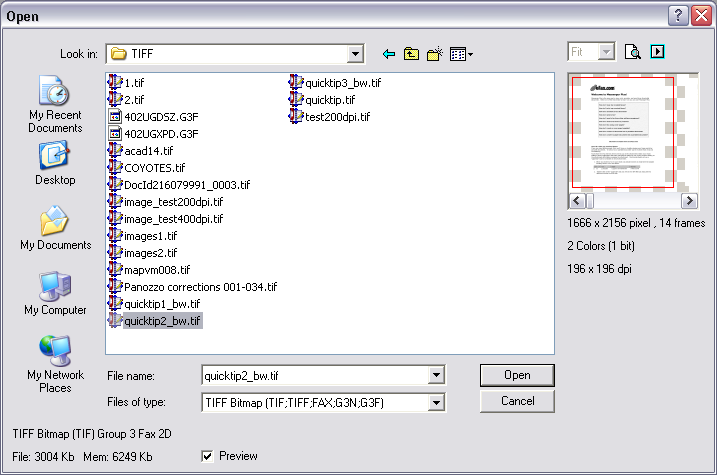 Double clicking on the file will open the file in a new image window within the Fax Tif View. Click the Next File button on the toolbar. The viewer displays the next supported file. Use the Previous File tool on the toolbar. 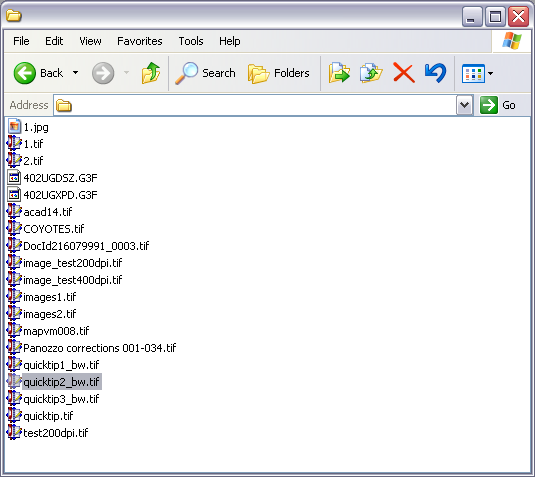 The viewer displays the previous supported file, in reverse sequence.